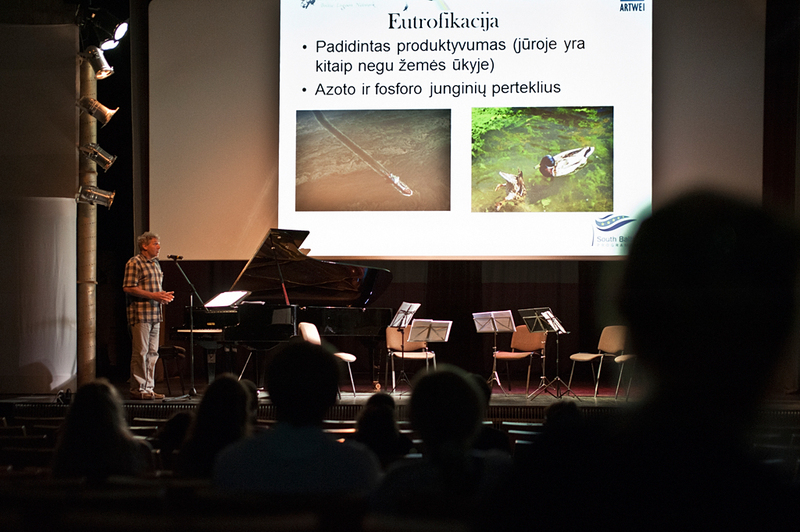 On Lithuanian side of Curonian lagoon the 8th annual festival of music and ecology “The Land of Disobedient” has been held at the seashore resorts Nida and Juodkrante during 7-13 of July, 2012. 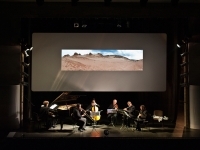 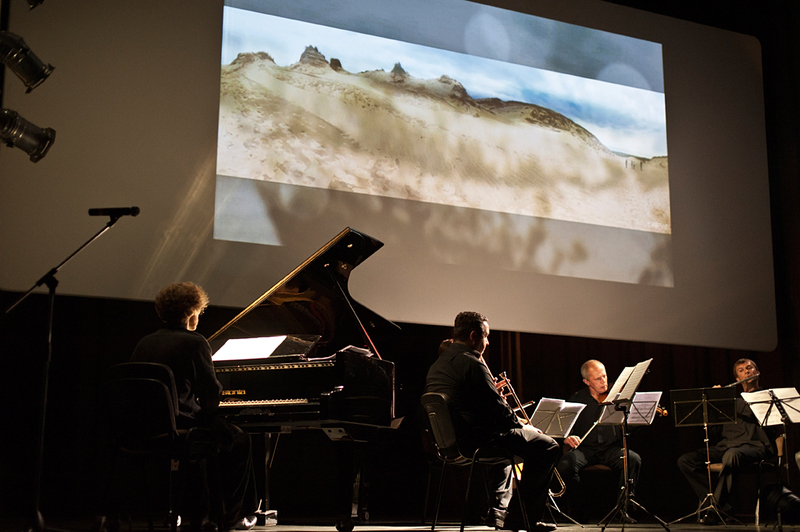 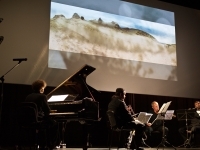 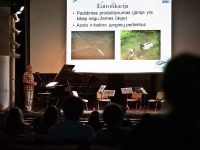 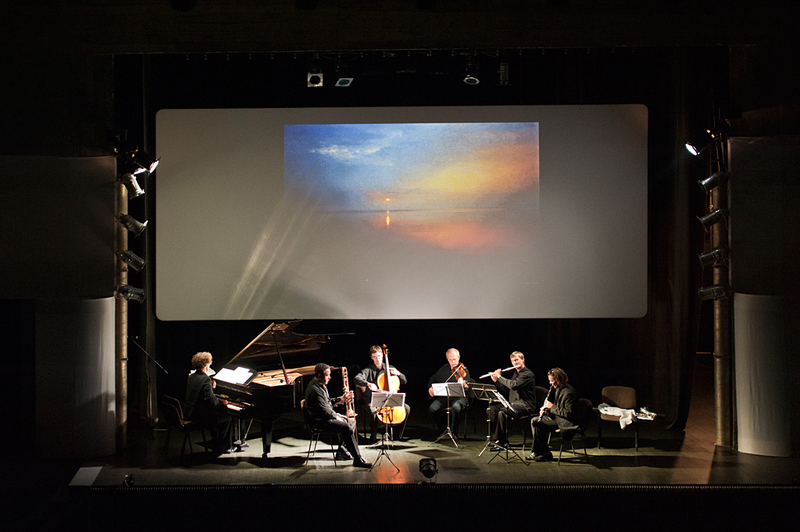 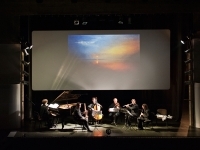 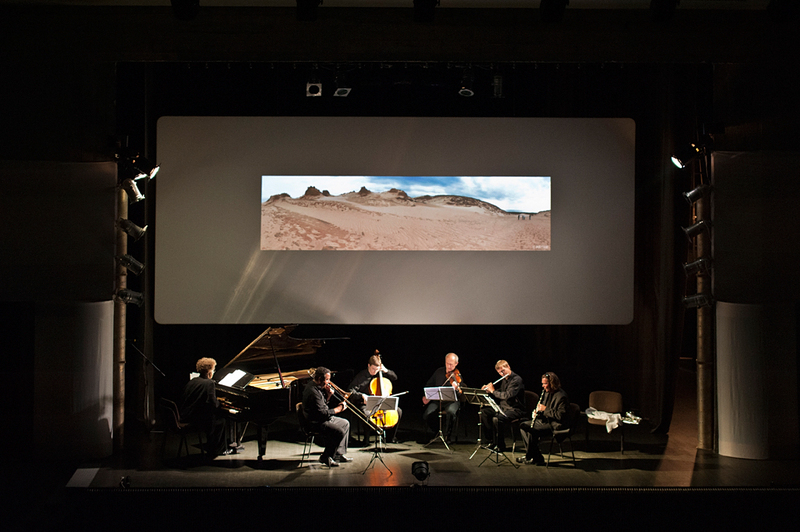 Musicians from Lithuania, Norway, Ireland and United Kingdom together with ecologists from Lithuania has been presenting joint creative programmes. 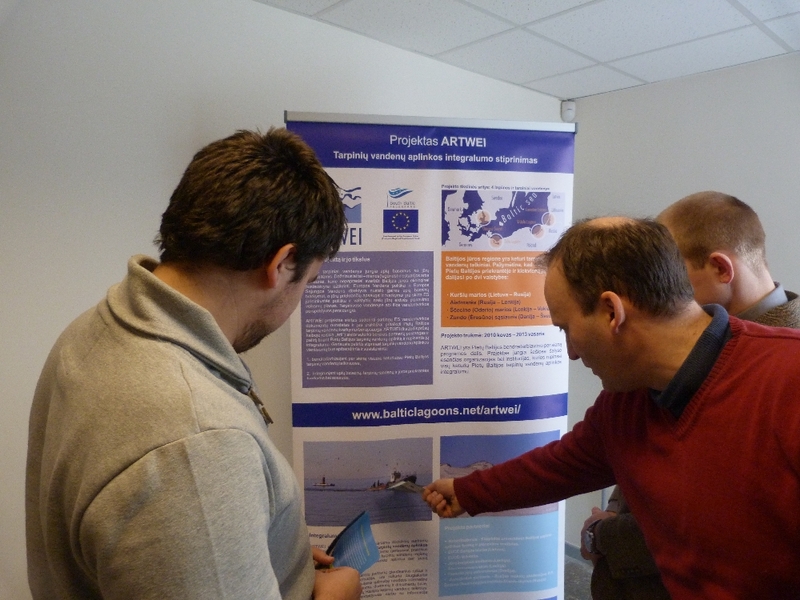 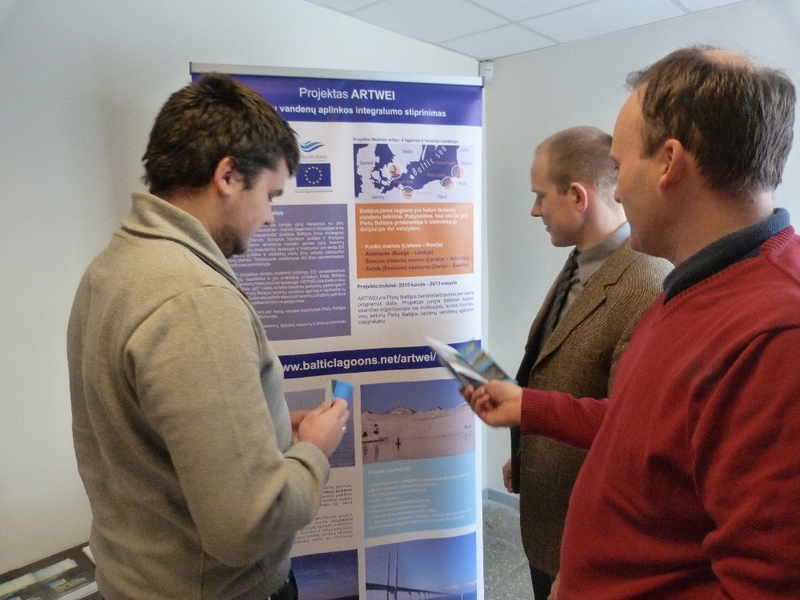 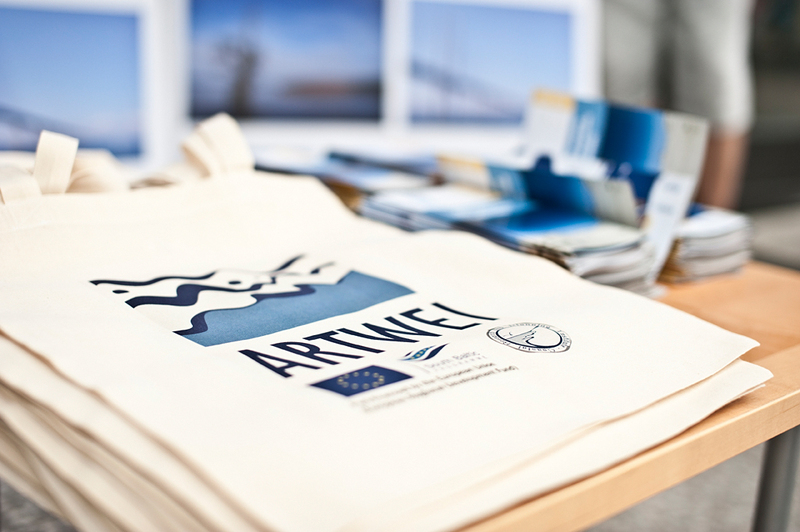 Presentation about project’s ARTEI activities and results named “Artwei project and ecological problems of the Baltic sea” has been presented for the audience of event by project ARTWEI together with prof. Arturas Razinkovas-Baziukas. 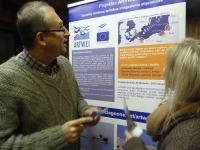 The ARTWEI project poster was shown and visitors were given the leaflets with short information on project goals and activities during this event. 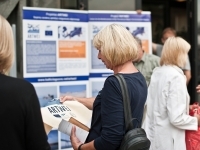 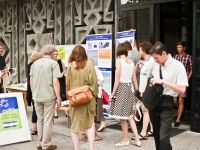 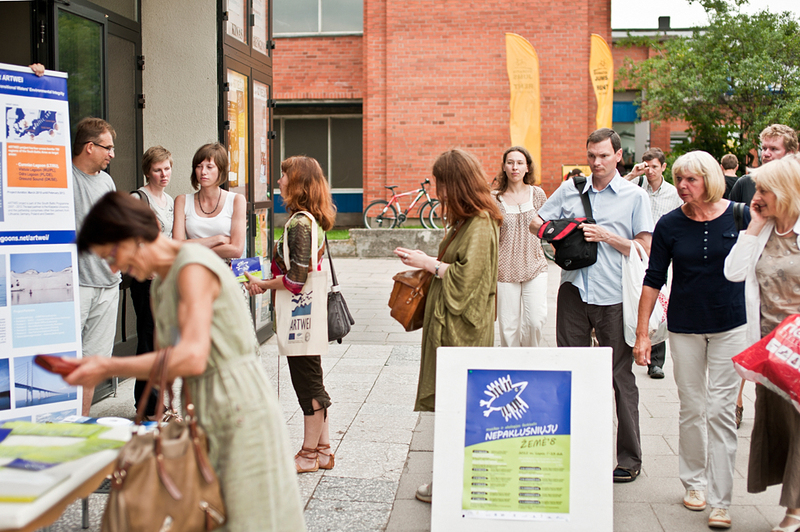 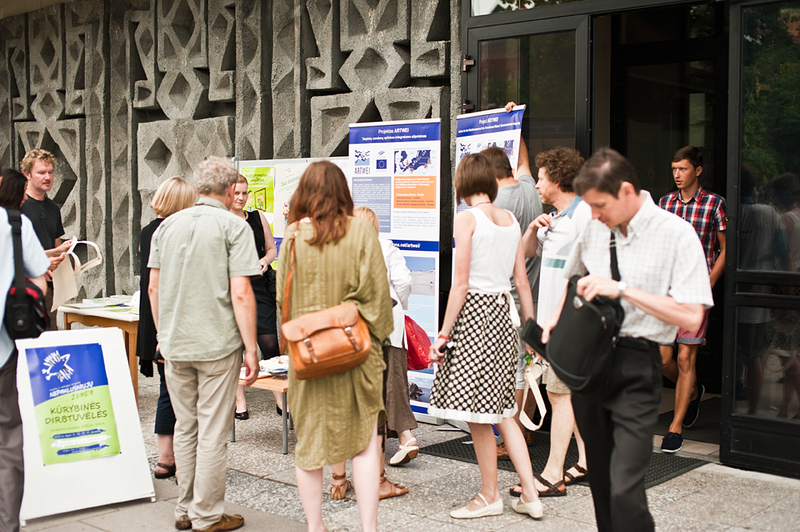 Two joint information and awareness raising actions, beyond the originally planned two ones, have been implemented by the EUCC Baltic Office in the fall of 2012. 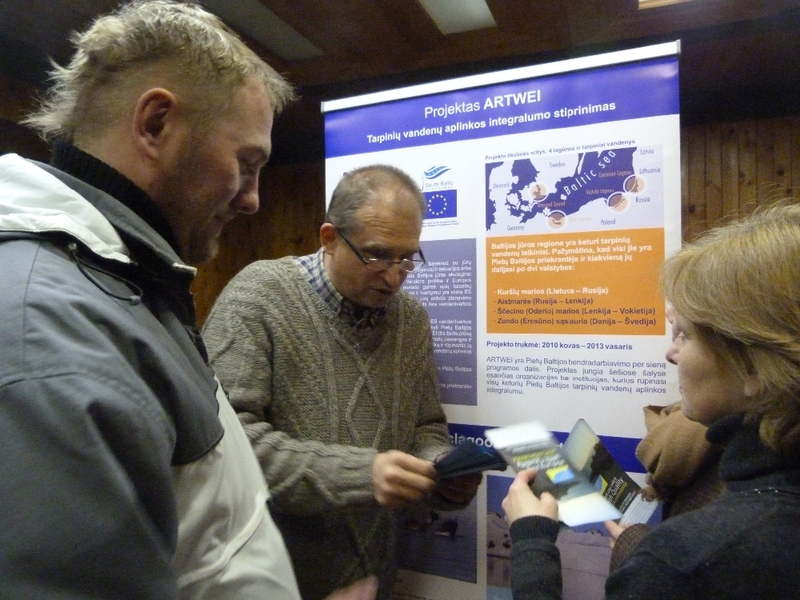 One was held in Šilutė district on December 8, and another was held in Klaipėda, on December 15. 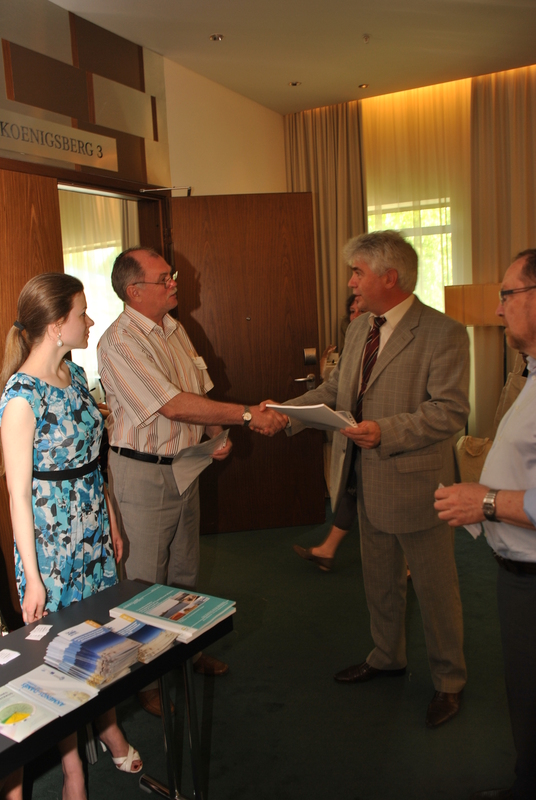 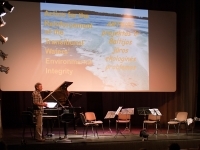 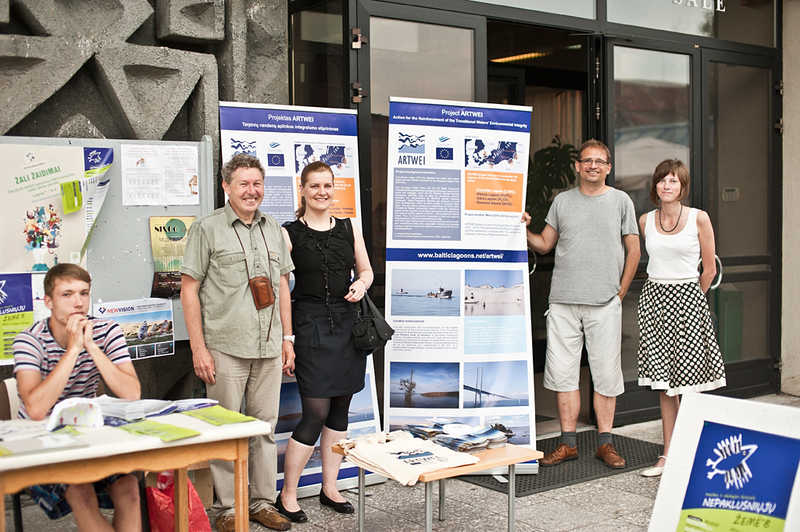 They both contributed to communication, publicity, promotion and dissemination of the generated results, outputs, knowledge and good practice towards the reinforcement of environmental integrity of the Curonian lagoon. 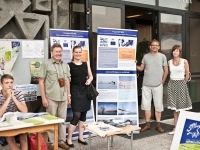 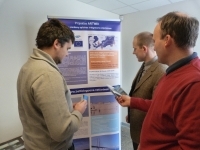 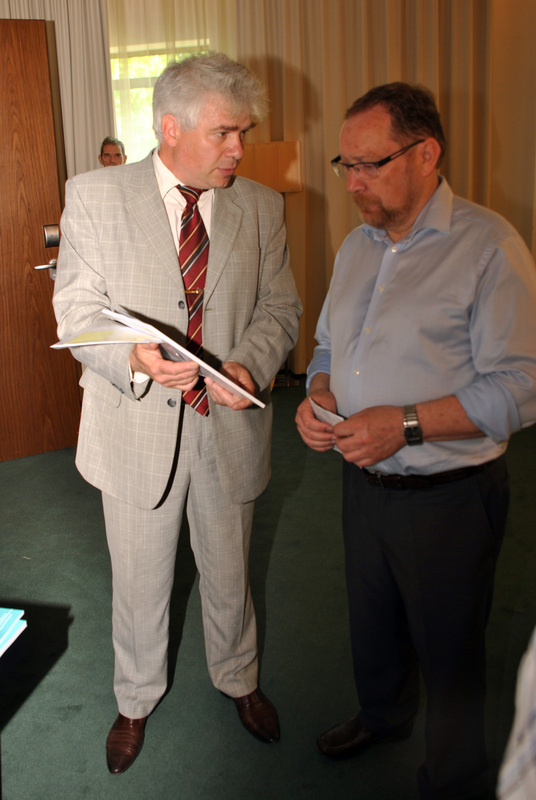 During the action held in Šilutė district, at the rural tourism estate of Stasys Petrošius, Prof. Ramunas Povilanskas, EUCC Baltic Office Director, highlighted actual issues of the cross-border co-operation between the Russian Federation and Lithuania on the reinforcement of environmental integrity of the eastern side of the Curonian lagoon and the cross-border Nemunas Delta. 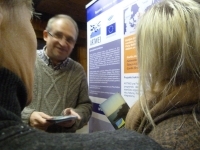 He emphasized that the strong side of the cross-border cooperation in the Curonian Lagoon region is a long-term history of Lithuanian-Russian cooperation in environmental research and management. 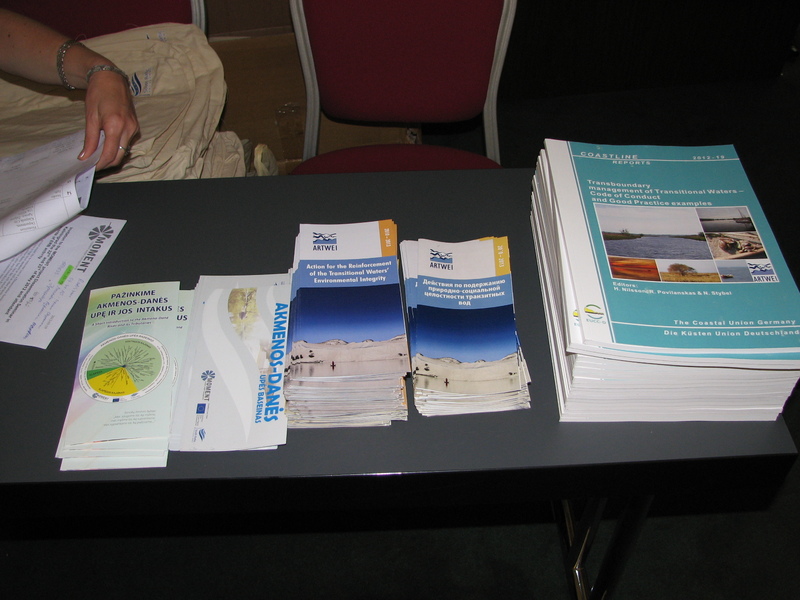 There exists strong technical and local expertise in transitional waters’ monitoring, environmental planning and managing in both countries. 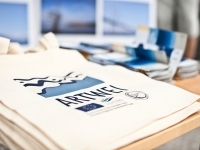 Also, local authorities in the Eastern Baltic countries are becoming ever more participatory, and more responsive to the priorities of society. 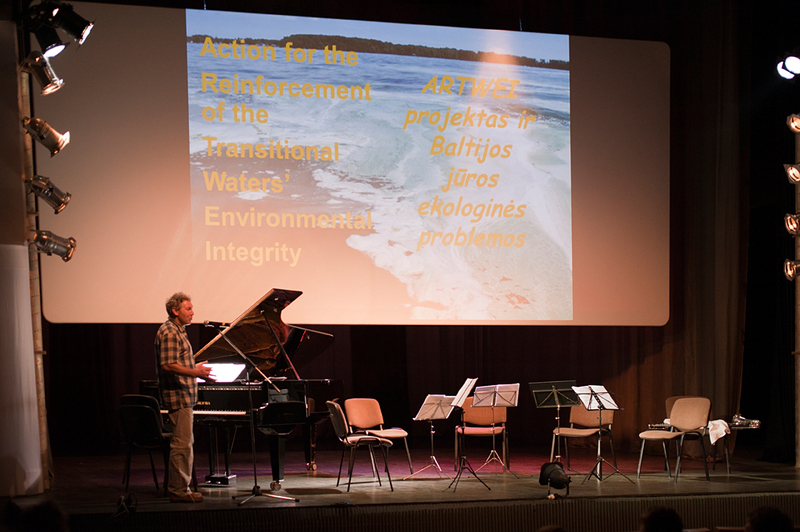 Hence, an independent forum comprised of experts, local authorities and environmental NGOs from both countries could facilitate integration and cross-border cooperation in the environmental management of the Curonian Lagoon and its adjacent areas. 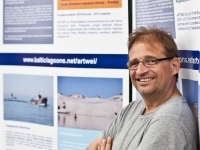 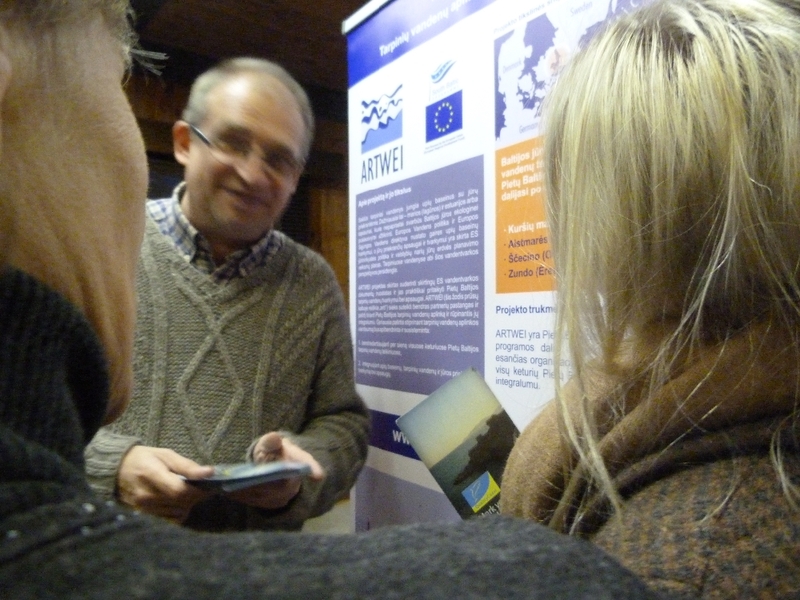 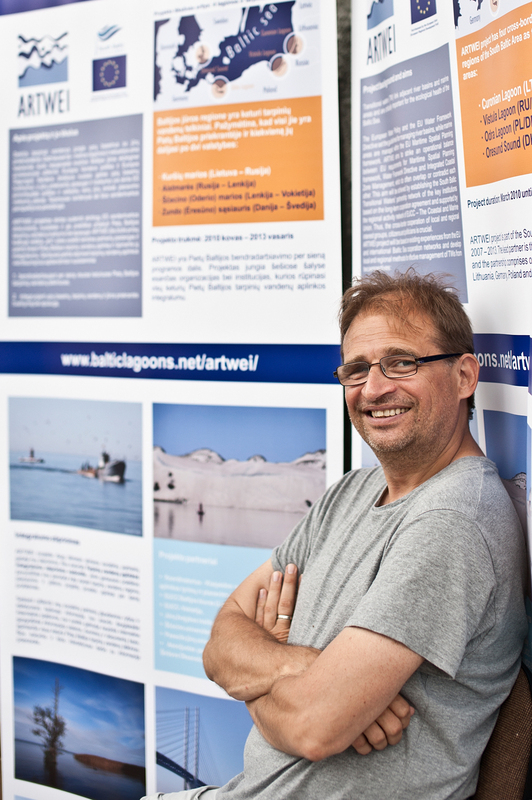 During the action held in Klaipėda, at KlaipedaUniversity, Mr. Egidijus Jurkus, project volunteer, has made a presentation on the ARTWEI results and outcomes in the cross-border Curonian Lagoon area and the KlaipėdaStrait as an extension of the transitional waters. 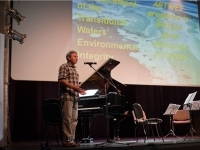 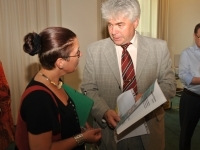 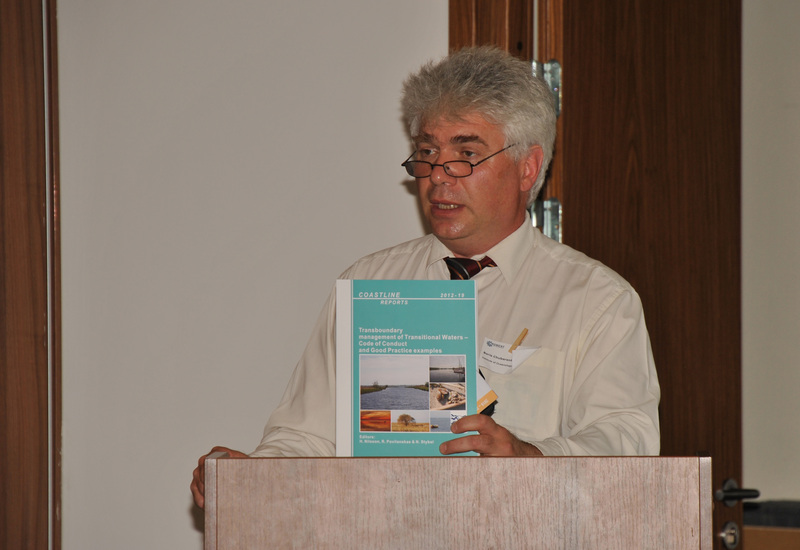 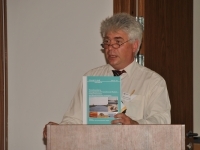 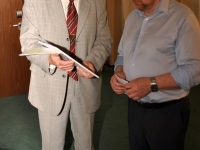 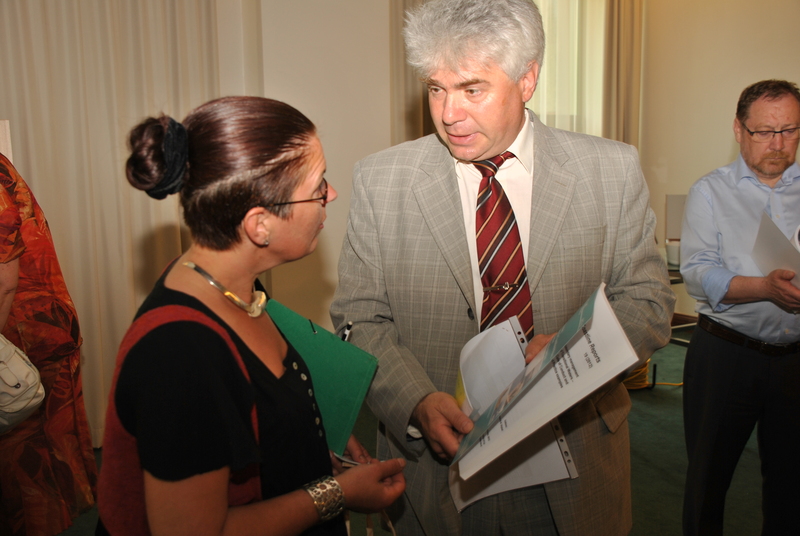 He emphasized that a concise yet straightforward planning scope, high-ranking governmental support, proper financing, dedicated cooperation between local, regional, and national authorities, and the participatory approach are the essential environmental management principles for meeting the requirements of the Water Framework Directive and other relevant EU directives in the Lithuanian part of the Curonian Lagoon and the Klaipėda Strait as transitional waters, and for reconciling them with water quality management and environmental protection regulations in the neighboring Russian part of the lagoon. 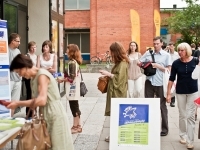 Press releases with the action programme have been issued before both events for spreading at local mass-media (in Lithuanian). 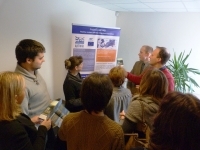 Both events have attracted 20 participants each. 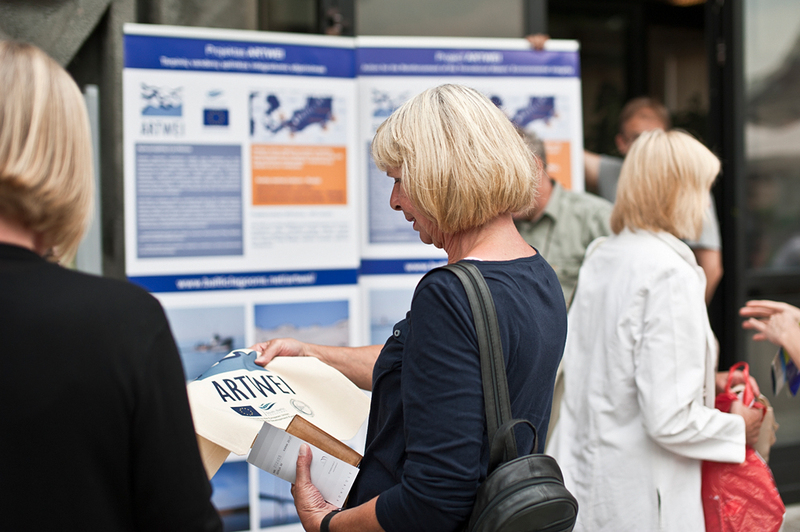 On Russian side of Curonian lagoon the information about project ARTWEI has been disseminated during the dissemination seminar of project MOMENT in Kaliningrad on 22-23 of May, 2012. 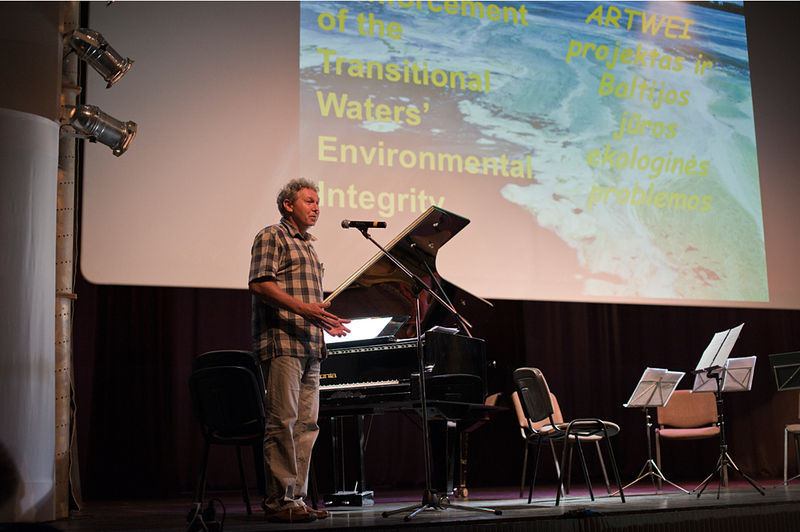 Dr. Boris Chubarenko has made an oral presentation about project ARTWEI activities and presented the Code of Conduct. 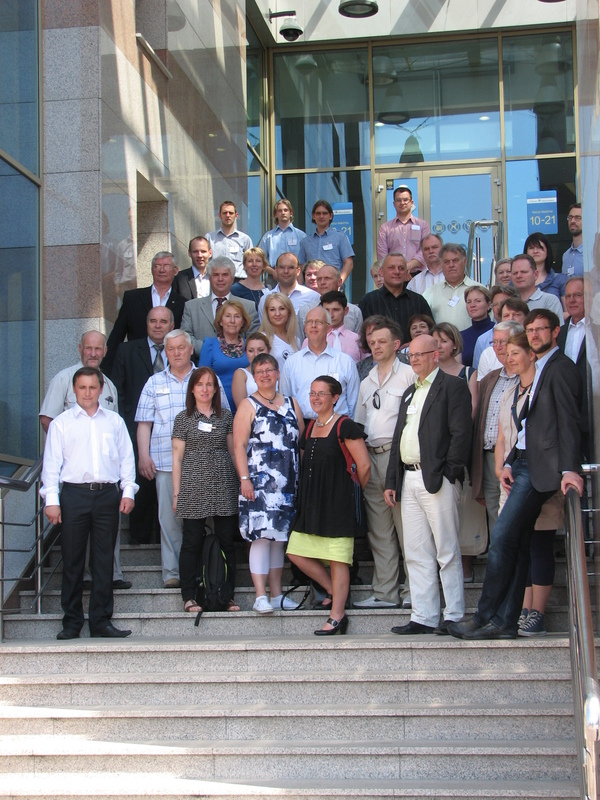 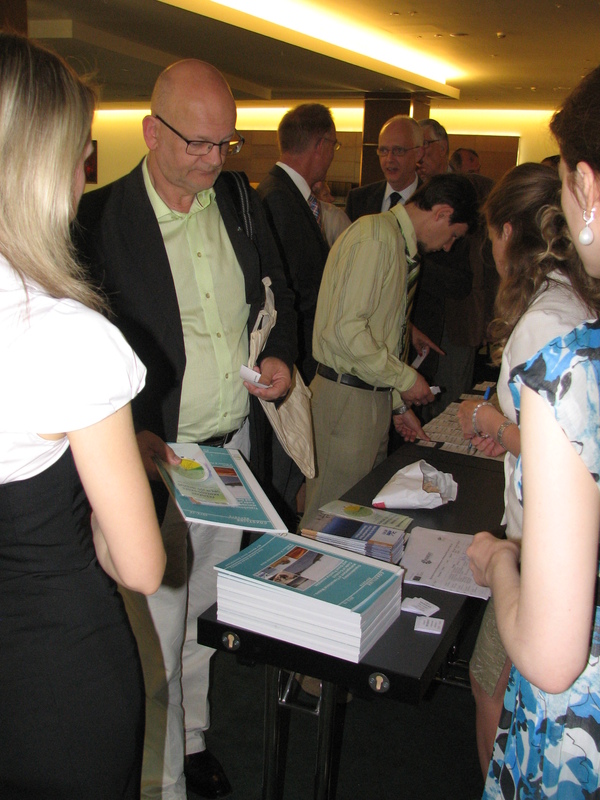 The conference was attended by 80 participants from Russia, Sweden, Poland and Lithuania. 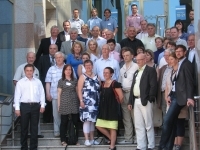 The authorities, project coordinators, heads of municipalities, employees of universities and research institutes took part in the meeting.